Bet you didn’t know you could do some extreme zip-lining in Kansas City, did you? Zip KC has everything you need for a fantastic afternoon of zip-lining. It has a fantastic tower tour that starts off at the very top of the park, 65 ft. up! Zip through the trees and forests at up to 55 mph. You can also experience the Zero Gravity line, where you will soar through the air in a small 12 ft. free fall before zipping to a safe landing. This makes for an adrenaline-packed afternoon you won’t forget! Looking for something a little more low key? Head over to the Moon Marble Company for the unique opportunity to observe how marbles are made. The company specializes in handmade and machine-made marbles. This is definitely a treat for the kids, and you might want to grab a souvenir to take home. By far one of my favorite things to do while on vacation is to head to a local sporting event. There’s nothing more fun than getting wrapped up in the hometown excitement. We decided to head to a Kansas City T-Bones baseball game while in Kansas City, and it was so much fun! The energy was great, the food was fantastic, and the T-Bones won! What more could you ask for? Tickets are really affordable for a family, and you can grab them here. Another great family activity right in the heart of KC is Legends Outlets. This is a true shopping destination because, for nearly half of the stores and restaurants, this is their only location in Kansas City. There really is something for everyone at Legends Outlets. Moms will love all the fabulous shopping like Coach, Old Navy Outlet, and more, and kids will love all of the goodies to be found like The Rocky Mountain Chocolate Factory and SweetFrog Frozen Yogurt. If you are looking for something a little more substantial for the kiddos to eat, you will definitely want to check out T-Rex. It is probably one of the coolest restaurants for not only the kids but also the adults. Step back in time and dine with the dinosaurs. Our kids absolutely loved this place and couldn’t believe they could eat with dinosaurs all around them. Legends Outlets also has many other tasty restaurants, so be sure to check them out. Fun Fact: Legends Outlets showcases famous Kansans in athletics, music, exploration, science, technology, politics, art, and much more, recognizing the men and women who make the state truly unique. Each courtyard and corridor at Legends Outlets is dedicated to a particular category of famous Kansan or aspect of the state and its history. 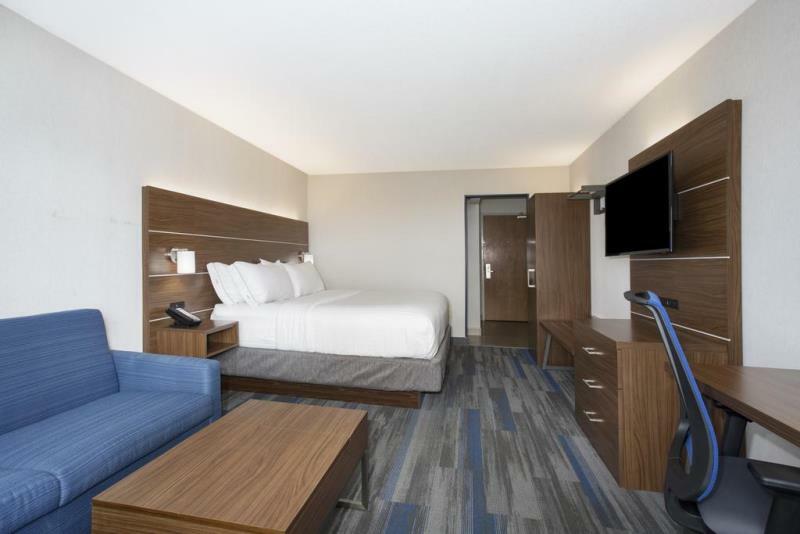 If you want the perfect family-friendly accommodations in the center of all the activities above, you will definitely want to book a room at the City Holiday Inn Express. The rooms are contemporary, spacious, and clean. With the spacious rooms and a free breakfast, this hotel is bound to be a hit with the whole family. It also happens to be right across from Legends Outlets! After Kansas City, you will want to head down the road to Manhattan. Nope, not the big apple; this is Manhattan, Kansas. Bet you didn’t know there was a Manhattan, Kansas. While there are many great things to see and do in Manhattan, Kansas, there are two big draws that bring travelers here every year. This is definitely a must-see attraction for kids and adults. This interactive center focuses on everything prairie related. The state-of-the-art facility is packed full of incredibly cool exhibits that will entertain while providing educational information. The first thing you will see at the center is a fantastic movie with real effects! I found the Flint Hills Discovery Center to be incredibly well done, and our family could have spent all day there. It is definitely a hidden treasure of Kansas. One of the best ways to really get to know an area is to get out into nature. 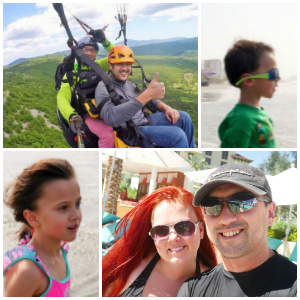 Our family loves to kayak, and we will take any opportunity we can to get out onto the water and explore. So when given the opportunity to kayak the Kansas River, we jumped at the chance. This is such a scenic river with many cool things to see and do while floating down. There are many sand barges that you can stop and let the kids play around in at. I suggest bringing lunch in a waterproof container and setting up a picnic in the middle of the river on one of the sand areas. If kayaking isn’t your thing, you can soak in the scenery by walking along the Kansas River Trail. This is one of the world’s longest prairie rivers, and it provides countless recreation opportunities. If you are looking for accommodations while in Manhattan, I highly recommend the Holiday Inn Express. Yes, we are huge fans of Holiday Inn Express, but with good reason. I know I can always count on them to be clean, comfy, and business-ready and to serve a hot breakfast in the morning. The Holiday Inn Express in Manhattan is no different, and it’s an excellent property for families stay at. One of our last stops on this epic Kansas Road Trip will be Hays, Kansas, but to break up the drive a bit, you will first want to stop in Salina. There are so many great communities in Kansas that you can easily explore by just hopping off the interstate, and Salina is definitely one of those. The best family dining to check out is Martinelli’s Little Italy. With big portions and fresh ingredients, the whole family will love eating here. If you have some more time head over to the Smoky Hill Museum. Family- and kid-friendly interactive and changing exhibits and fun family activities are among the museum's highlights—all free of charge. You can check out a complete visitors guide to Salina here. Our last official stop on this road trip will be Hays, Kansas. Hays is a great city to wind down your amazing time in Kansas. It has a great hometown feel with tons of great things for visitors to see. It’s hard to miss this gigantic dome when you roll into Hays. The Sternberg Museum of History is stuffed full of everything from dinosaurs to rattlesnakes. Make sure you plan a couple of hours because it is a huge building with tons to look at. A ramp leads up to the top floor of the Sternberg Museum. 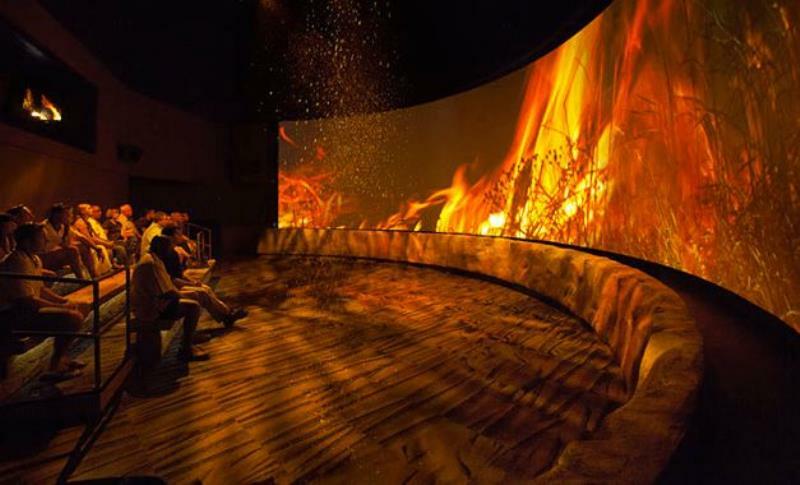 Along the way, you pass through life-size displays recreating the seas of Kansas from 70 million years ago, leading up to displays of what might have been found near the shore. Some of the recreated life-size prehistoric animals even move or make noises (the kids really get a kick out of this)! If you are looking for a great place to get some grub in Hays, you’ll want to head over to Gella’s Diner and Lb. Brewing Co. From the open kitchen and stainless steel brew tanks to the murals interpreted from historical photos and signs, Gella’s Diner & Lb. Brewing Co. offers a great atmosphere with its homemade food and handcrafted brews. The kids loved that their food came in adorable little cars—how cool! The food was really fantastic, so be sure to check it out. Need a place to stay while in Hays? 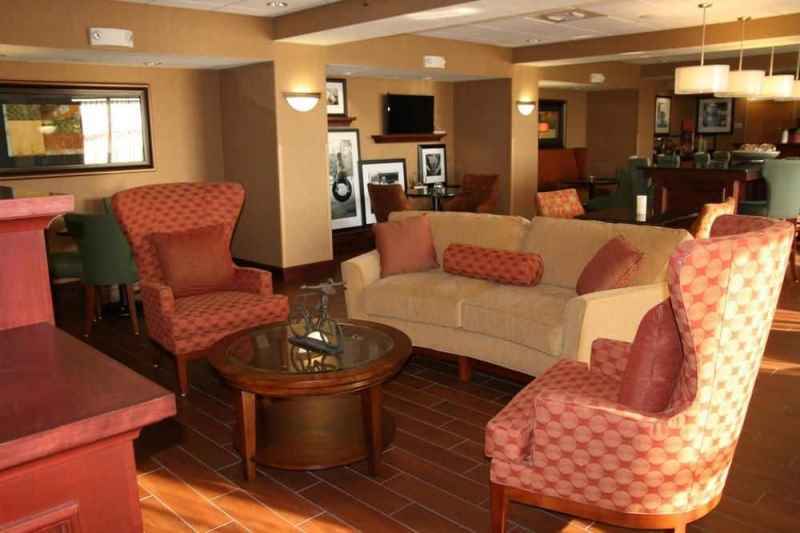 Head over to the Hays Hampton Inn and check in for a comfortable stay! If you have some time after Hays, I recommend heading to the Buffalo Bill Bronze Sculpture and Monument Rocks. This monumental bronze sculpture of Buffalo Bill stands 16 ft. tall and weighs 9,000 lbs. Designated by Congress as a National Natural Monument, the pyramids of the high plains rise majestically from the seemingly flat prairie. This wraps up our incredible journey through Kansas. Our family’s time in Kansas was one of the best vacations we have taken and one that we will all remember forever. There really is no place like Kansas! Keep in mind that this is just a guide to help you along, so please head over here to create your custom journey through this amazing state. 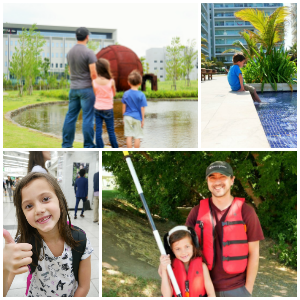 Let us know what great sites your family finds!